All EU member countries, Andorra, Argentina, Australia, Brazil, Brunei Darussalam, Canada, Chile, Costa Rica, El Salvador, Guatemala, Honduras, Iceland, Israel, Japan, Liechtenstein, Malaysia, Mexico, Monaco, New Zealand, Nicaragua, Norway, Panama, Paraguay, San Marino, Singapore, South Korea, Switzerland, Taiwan, USA, Uruguay, Vatican City, Venezuela, Hong-Kong Special Administrative Region (holders of HKSAR passports only) and Macao Special Administrative Region (Macao SAR passports only) provided they’re in possession of a valid passport. 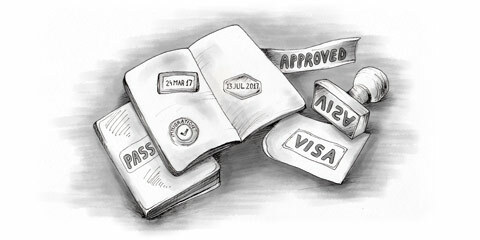 A visa is required by nationals of all other countries. Full lists of procedures and requirement are available on the website of either the Cyprus Government (www.cyprus.gov.cy ) or the Cyprus Tourism Organisation (www.cyprustourism.org ). If you require a visa, you should contact the nearest Embassy or Consulate of the Republic of Cyprus before planning any visit. Visa applications must be submitted in person and include all supporting documentation such as proposed travel arrangements and (if you’re visiting for business) an official letter from a company in Cyprus. If you wish to study in Cyprus, you must provide a letter from the school or university confirming details and the duration of your course. As a foreigner, you’re advised always to carry your passport or residence permit (if you have one), which serves as an identity card, a document all local nationals must carry by law. You can be asked to produce your identification papers at any time by the police and other officials and if you don’t have them you can be taken to a police station and questioned. Does anyone know what will happen if your overstay your 90 day limit? Do you get a fine? Also does anyone know how to legally extend this 90 day period without leaving and coming back again?